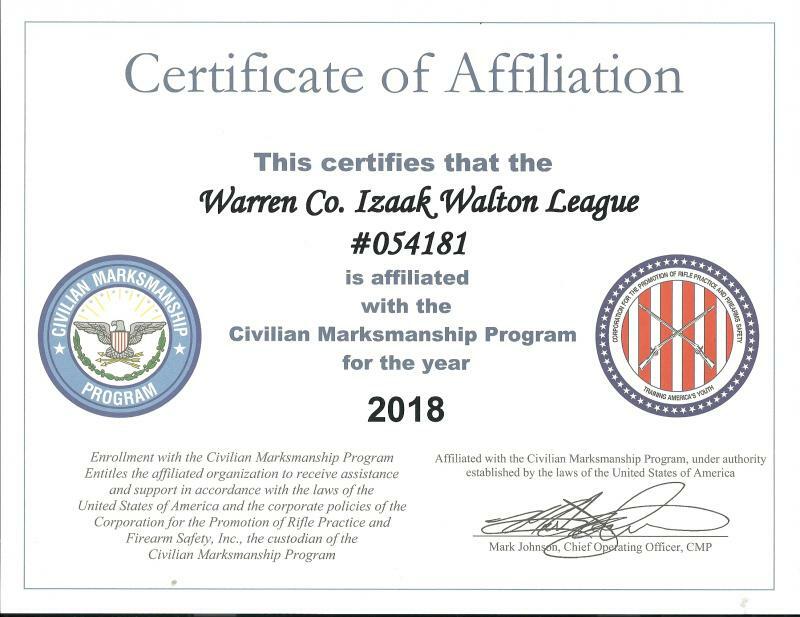 Warren County Izaak Walton is affiliated with the Civilian Marksmanshp Program (CMP). 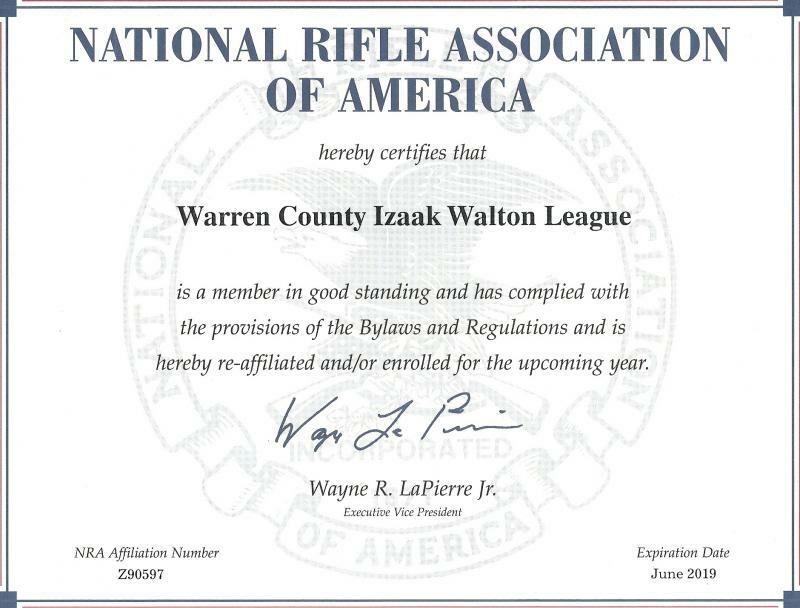 The Warren County Ikes are also an offcial NRA affiliated club. There are many benefits to being an NRA affiliated club. Click HERE to go to the NRA Club Website. Click HERE to view our official letter of registration as an affiliated club. Comments or suggestions on this website? Please click HERE to send an email.